some more listening and buying and then home again. • It is always important to remember respect for others. • When buying at an estate sale listening is very important. • Do not pressure the sellers. offered on and been refused. • Leave the door open for future invitations. So, what did we find and actually buy? I have some great plans for bits and pieces, repurposing. 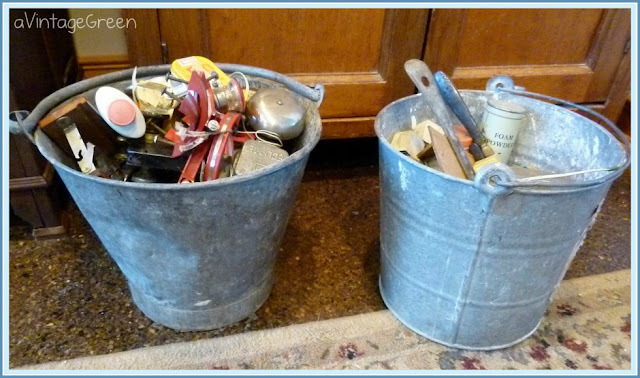 The first bucket has a rolled handle. Two buckets of bits and pieces - the vintage red handles may be my favourite find of the day, although I was pretty happy with the old bell alarm. You just know I am going to link up with some favourite bloggers to further share this post. I am linking with Apron Thrift Girl (you may enjoy reading her blog every time she posts, she shares such good information on how she goes about working toward her family goals. I am also planning on linking with Her Library Adventures: Flea Market Finds and Boogieboard Cottage, I know many post readers do not like the Linking up with Parties part of a post. I put my links at the bottom so they can be ignored or read depending on the pleasure of the viewer. I have made some very lovely blogging friends by reading the posts of others who link up on various parties. Very kind of you to mention estate sale behavior that takes into account the mental state of the sellers. 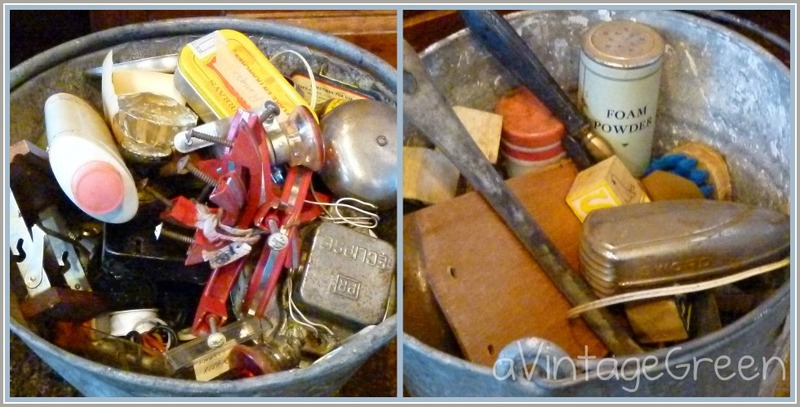 I know that it has been appreciated when I sincerely gush over items that belonged to family members. I am a bit of a geek that way, but I can get all excited about the strangest things and I know people feel happy that items that were loved once are going to be appreciated again. You have some great finds in those buckets of yours. I can go to garage sales and it never bothers me......estate sales can make me sad. However, I am sure it is easier on the families to have an estate sale and be done. 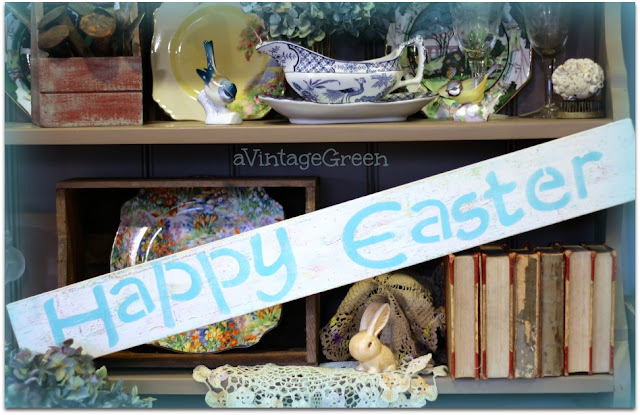 I have bought things in the past at Goodwill or garage sales simply to give it a good home. The object was once so treasured - I could tell - and I simply could NOT leave it abandoned! Great finds stashed in those cool buckets. Estate sales can be very emotional for those putting it on and I do think your suggestions are wonderful. Being respectful to the family - put yourself in their shoes and think how it would feel to be the one having to disperse your mom or dad's belongings and treasures. We here some wonderful stories too which makes finding the treasures that much more special.